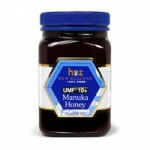 A 1kg size jar of Honey New Zealand UMF 10+ Manuka Honey - unbeatable taste with the UMF label that ensures the honey has been independently tested. Honey New Zealand is one of the top manuka honey producers and this is a UMF certified 18+ manuka honey so it has a very high UMF rating. 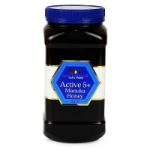 Honey New Zealand UMF 6+ Manuka Honey is a relatively low UMF level but high in terms of its quality. 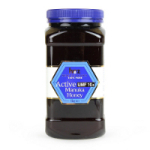 A genuine and certified manuka honey suitable for everyday use.